Largely due to the level of intergenerational wealth transfer, there has in recent years been an increasing emphasis on all forms of succession planning and, in particular, business succession planning. In broad terms, a buy-sell agreement is a contractual arrangement between the ultimate owners (or ‘principals’) of a business. The agreement is structured so that if certain events occur, such as the death or incapacity of a principal, the continuing principals are given the option to purchase the interest of the departing principal. 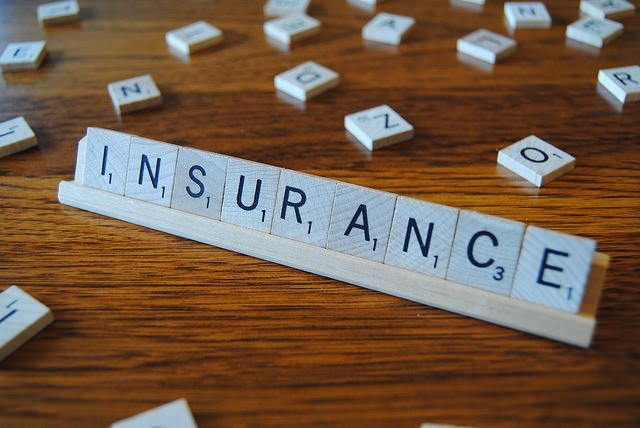 Most commonly, insurance is obtained to help fund buy-sell arrangements. Since the withdrawal of the ATO's draft Buy Sell Discussion Paper in 2010 there has been some uncertainty about many aspects of insurance funded buy-sell arrangements, particularly those that utilise insurance trusts. Recent changes introduced as part of the Tax and Superannuation Laws Amendment (2014 Measures No 7) Bill 2014 (now awaiting Royal Assent after having been passed by Parliament without amendment) appear to have clarified the position (the 2015 Changes). The trust ownership approach generally involves the establishment of a special purpose entity, often with an independent trustee appointed, to acquire the insurance policies and then distribute proceeds, on the exit of a principal, in accordance with the terms of the trust instrument. If the trading entity is itself a trust or owned via a trust (for example, a discretionary trust owning shares in a trading company), then it may not be necessary to establish a separate structure. The core benefit of an insurance trust is its ability to centralise the ownership of all insurance policies and facilitate the efficient transition of an ownership interest following a triggering event. Historically, from a tax perspective, the level of uncertainty regarding the tax treatment of the insurance proceeds (compared with that of other ownership models such as self-owned insurance) often undermined the commercial attractiveness of the trust ownership approach. Certainly an insurance policy taken out by a trustee (who was also the beneficiary of the policy) over one or more principals, was likely to see the proceeds paid directly to the trustee and be exempt from CGT pursuant to s 118-300 of the ITAA 1997. However, due to a lack of guidance from the ATO, many advisers believed there was a risk CGT was triggered where a new principal joined the business and there was any change to the trustee or insurance policy or on the subsequent distribution of the insurance proceeds to the beneficiary. The concerns were largely driven by the ongoing uncertainty around the concept of ’absolute entitlement’, discussed later in this article. The ATO released Product Ruling PR 2010/18 in relation to the CGT consequences for the beneficiary of what is generally seen as a ’standard’ insurance trust deed. In many respects, the ruling reflects what most specialists in this area have advised for many years, namely, that a properly crafted insurance trust deed should provide appropriate protection for the principals of a business without any significant tax detriment, notwithstanding there might be other commercial issues to consider regarding the structure. Unfortunately, the positive aspects of the ruling were largely undermined by the fact that the outcomes are based on the stated assumption that the insurance trust deed will in fact create ’absolute entitlement’ for each beneficiary in the relevant insurance policy. As has been widely documented, the expressed views of the ATO concerning absolute entitlement are somewhat contentious and the ATO continues to refer to a draft ruling that has never been finalised – despite being issued in 2004 (ie Draft TR 2004/D25). In this regard, a significant concern was that the Product Ruling confirmed that, in order to ensure absolute entitlement, the relevant beneficiary must be able to call for the asset at any time. This largely undermined one of the main commercial reasons why advisers historically recommended insurance trusts, being that the trustee will be able to control the payment of any insurance proceeds received. A further practical issue, given the way in which many providers traditionally structured trust arrangements, was that the Product Ruling only related to insurance trust deeds where the company acting as trustee was an entity owned and controlled by the principals involved in the business entity and the relevant insurer was not a party to the arrangements. Minutes released from a National Tax Liaison Group meeting in December 2010 (item 9) provided further insight into the apparent ATO views in relation to insurance trust deeds. while the ATO flags that it will further consider providing appropriate guidance, it specifically confirmed that the ATO Buy Sell Discussion Paper is not current. Ultimately, given the complexities in this area and the uncertainty created by the ATO Buy Sell Discussion Paper, Draft TR 2004/D25, the Product Ruling and the above minutes, many advisers defaulted to recommending the obtaining of a private ruling on any proposed trust arrangement documenting an insurance funded buy-sell agreement from the ATO before implementing the approach. Needing to seek a private ruling on what was otherwise a relatively benign arrangement was for many business owners sufficient reason to either use a different ownership approach or, more commonly, simply decide against implementing a business succession plan. Amongst other amendments, the 2015 changes have adjusted the way insurance payments are taxed in certain circumstances. insert a CGT exemption where a trustee makes a payment to a beneficiary (or their legal personal representative) in respect of life, TPD or trauma insurance proceeds. This change also ensures that where the relevant trust is a unit trust, CGT event E4 does not apply. The 2015 changes make it likely that trust and superannuation fund ownership of life, total and permanent disablement or trauma insurance policies will be more attractive, given the new clarity regarding the tax treatment of the insurance proceeds. Importantly, the changes also operate to reflect the intended administrative position of the ATO in this area, and therefore apply from 1 July 2005 and taxpayers adversely impacted who would otherwise be out of time are granted an extension to amend their returns.